In Richmond, many people know us as Rob Wright Remodeling, because that’s who we are. Our company name is Cabinetry & Construction. 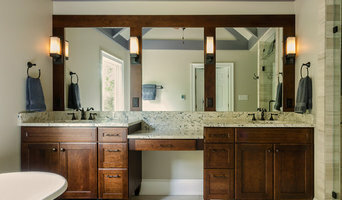 We are a full-service, one-stop shopping, Class A licensed General Contractor in Richmond, VA, with an award-winning portfolio of residential remodeling projects in the Richmond area, including baths, kitchens, additions, whole-house renovations, and specialty millwork. We offer references from our satisfied customers, including nearly one hundred self-described “clients for life.” We bring new life to old homes. Rick’s Renovations has over 13 years experience and is a owner-operated contracting and design company that specializes in complete home remodels including bathrooms, kitchens & more! Old Dominion Innovations is transforming Richmond area homes into an oasis of living space both indoors & out. Customers love the personal service and attention to detail that comes with each project. Island Architects brings more than 35 years of experience designing and building distinct custom homes elevating the coastal living lifestyle. We understand your house is not just an investment but it is your home, it is where your kids play and family come to visit…it is where memories are made. We focus on giving service of the highest quality while providing the greatest value for your investment. Our employees bring a broad range of experience, talent and dedication to every project. 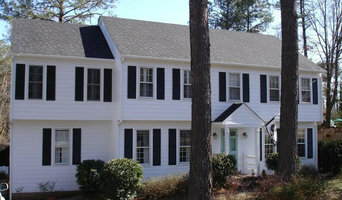 Custom Addition, Remodeling and New Home Builder in Richmond and surrounding counties. Specialize in providing high quality customer experience while delivering beautiful craftsmanship in every detail. D+D Studio was established to bring the highest level of architectural design to clients at an affordable rate. Have peace of mind when hiring D+D Studio. Over the years our remodeling construction company has had the pleasure of expanding upon many homes so that the families within them can enjoy them that much more. We're excited to work with you! Virginia Building and Remodeling provides turnkey solutions and project management for all types of addition and remodeling projects. Specializing in wall removal and structural work to expand living, kitchen and/or bathroom spaces. Custom residential architectural, interior design and estate planning services. In business since 1993 we have been specializing in the design of new homes in many historical architectural styles along with modern contemporary architecture. We also provide design services for the renovation and addition to historical and newer homes, that create modern living solutions that owners are seeking today. We provide not only architectural design, but also guidance on ways create value for an owners investment beyond just a pretty front elevation. All aspects of a homes systems, finishes, site arrangement, where the sun rises, where it sets, and life cycle costing are all factored into a final design. A home represents the largest investment most people make in their lives. Designing a home that will be energy efficient, answers the clients needs and wants and looks to the future when a home may be sold are all significant parts of a successful design. We create a initial in depth programming document to identify all the requirements clients have that are known now and may become relevant as needs change and adapt to their families needs and requirements. Mark Spangler architecture works with several contractors and suppliers who bring additional expertise to the table. At SMS Architects, we take a thoughtful and comprehensive approach to envision the opportunities presented to us by each of our projects. We strive to exceed our client's expectations, every time. Designs by Aaron Olson, Inc. dedicates itself to engaging clients in dialogue conducive to realizing their visions. He believes in balancing the client’s voice with the necessary guidance to move each project forward from a design concept to fully detailed construction documents. Aaron is well versed in styles that range from traditional to modern. His versatility allows clients to choose the design aesthetic that is reflective of the way in which they live. In 2004, Aaron began working for a prominent architectural firm in Richmond, Virginia where he excelled as a designer, draftsman, and project manager. He has strong relationships with local structural engineers, builders, and interior designers. His continued relationships with repeat clients have been essential to his success. 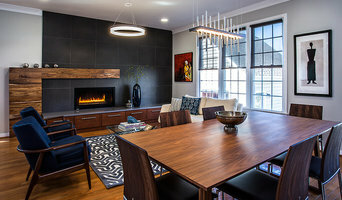 Richmond's Versatile Building Designer | Beto of Houzz 2018! Designs by Aaron Olson, Inc. dedicates itself to engaging clients in dialogue conducive to realizing their visions. Aaron is well versed in styles that range from traditional to modern. Based in Richmond, Virginia, my practice takes an ecologically-mindful approach toward the design of homes that are healthful, low-impact and client-and site-responsive. I am long-time advocate of biophilic design and bring a wealth of experience in energy conservation, solar harvest systems, alternative building practices and construction. Carol Cason with Residential Design Solutions, Inc. has been in the design field for over twenty years and has experience in architectural, mechanical and civil design. Beyond Ordinary Boundaries Architecture (BOB Architecture) approaches the design process as a journey. 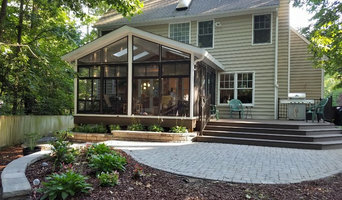 Our architectural goal is to provide personal attention and a professional committment to meet each client's desires by organizing and articulating a unique design solution. A creative and collaborative studio environment makes BOB the appropriate architect for those in search of a distincitve firm. At A Step Above Construction, LLC/RVA, we offer absolute attention to detail and an uncompromising commitment to quality in everything we do. At SMS Architects, we take a thoughtful and comprehensive approach to envision the opportunities presented to us by each of our projects. All of our architectural jobs have a unique and special quality – it’s our mission to identify and enhance that quality through our design work. However subtle or distinct the design, we give each project as much dimension as the program’s scope and budget avails. In doing so, we incorporate the codes required of the building locality, our customers’ budgets and expectations, and our blend of appropriate and tasteful design. We manage the many moving parts that go into a build, bringing the pieces together to deliver a comprehensive drawing package. We work closely with our clients throughout the course of their project to communicate our intention and arrive at a solution together. Clients can expect a commitment to efficiency demonstrated in all aspects of our work. Scott Stephens grew up on the Chesapeake Bay of Virginia. After receiving a B.S. in Architecture from the University of Virginia, he spent 15 years in the boat business, designing and building custom offshore sport fishing boats. Scott's profession then shifted into architecture when he returned to graduate school to get his masters degree from Virginia Tech. In 2002, Scott began his architecture career in Richmond, VA. After interning for two Richmond firms and earning his license, Scott founded SMS Architects in the fall of 2008. Gooding Construction builds quality custom homes at the fairest price. We have built homes in over 20 different counties throughout the greater Virginia area. Leigh Construction is dedicated to quality workmanship and superior customer service. We specialize in complete home remodels, kitchen and bath remodels, room additions, tile, flooring and more.